This year we are doing summer right! We are logging serious hours playing in the sand and surf at the beach, swimming at the pool until our fingers look like raisins, and playing outside until the fireflies come out. Along with all of this summer fun has been a lot of great good. Now, I am not one of those people that takes pictures of their food and posts them online, but come on, friends, just look at what I have been chowing down on the past few weeks! All of this food has been amazingly yummy, but I’ve been paying for this super rich food in the gym and with ridiculous heartburn. Ugh, it’s awful. One night I actually tried sleep sitting up because I was so uncomfortable. Because, you know, nothing says restful sleep like sleeping in the upright position. No big deal because the food was so good and this time I had Pepcid Complete to save me from the wrath of heartburn. Did you know that almost every person experiences heartburn and 25 million adults experience heartburn every day! 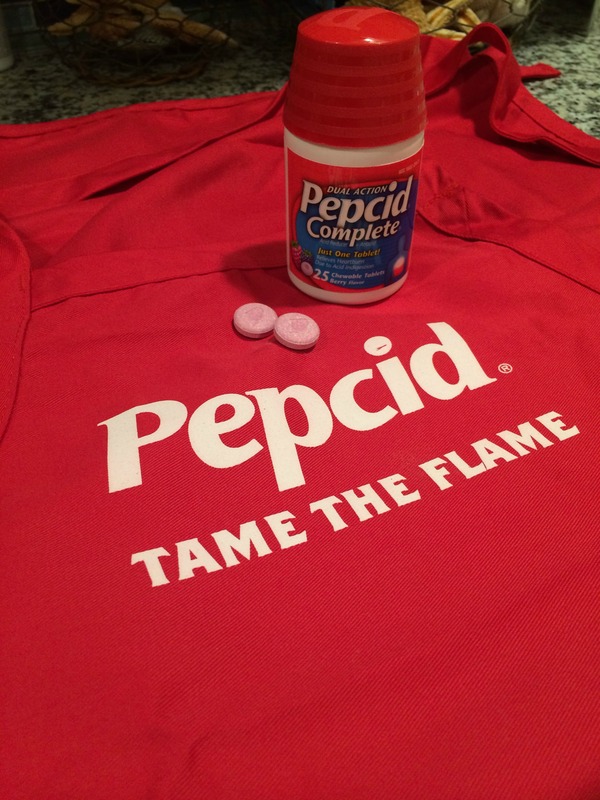 Connect with Pepcid #Tastemakers here and on Facebook to join in on the conversation and learn about triggers and how you can stop relieve your heartburn and get back to some of the food I’ve been over indulging in! Mine seems to come in stages, but it’s so aggravating and uncomfortable when it happens. Thank goodness for quick relief! I have heart burn if I eat certain things past a certain of day. I pretty much can’t eat anything spicy or with onions after 4 pm! The yummy food you have shared in this post is exactly why I need Pepcid too! I cannot crack my craving for junk foods. I have recently started to get horrible heart burn! I will have to try Pepcid! oooh man, that sub sandwich looks so good. I needed meds like these when I was pregnant! I got heartburn the other day for the first time in around 4 years but have no idea what caused it. All that food looks amazing! My husband swears by Pepcid! Mine needs this too! Thankfully I can eat greasy and not need it all the time! I had SO much heartburn when I was pregnant. Now I seem to get it when I eat too many greasy foods. My husband suffers from heartburn daily, I wonder if he has every tried this. I will have to tell him about it! 25 million people? That’s a lot of people. I am definitely among that number. I have experienced heartburn in the past; but only when I was pregnant. It’s a miserable feeling. If I got it regularly, Pepcid would be my best friend. That food looks so good. I’m ready for lunch now! 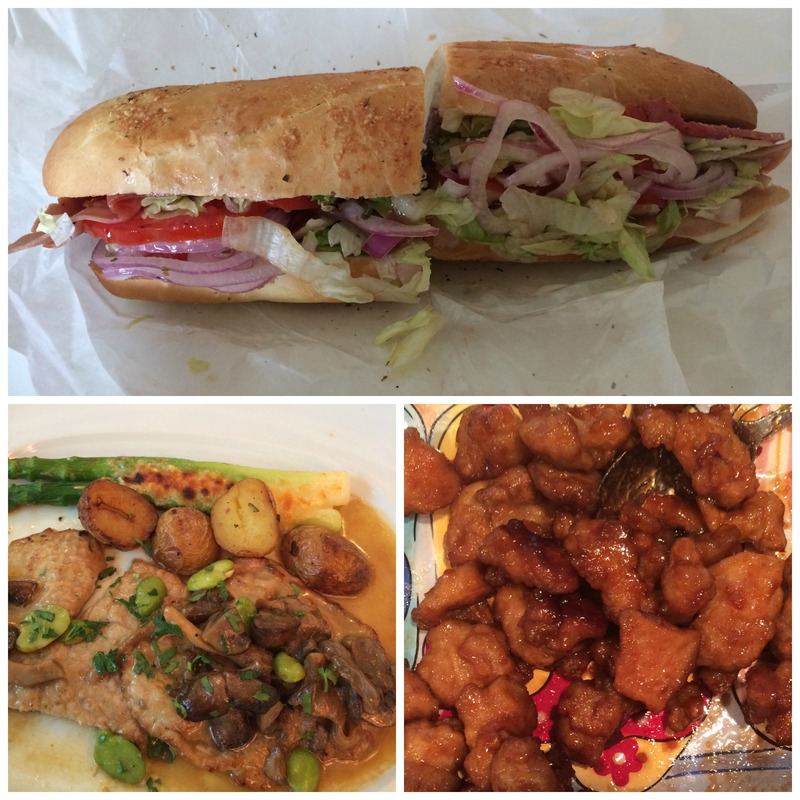 Ooh – that submarine sandwich looks so good. I’d need Pepcid after too. I’ve been noticing more frequent heartburn recently. I am going to have to try Pepcid next time that pain starts! I love Pepcid Complete. It lets me eat all the foods that I normally shy away from, because of the heartburn I get later. Good to know. I need to try these Pepcid Complete tablets. My husband has awful heartburn. Pepcid Complete definitely helps tame his flame. He refuses to give up the foods that cause him indigestion, thank goodness for Pepcid. I have used Pepcid Complete before. It seems to work really well. Pepcid is my husband’s best friend. He gets heartburn often so I always make sure to have this in stock! Yes, I just started investing in this product! It seems the older I get the less easy it is to at everything in sight! I LOVE Pepcid. I have a problem with spicy foods and always have Pepcid in my bag to cure the nasty heart burn attacks. It works so quickly. I get acid reflux when I eat poorly. I’ll have to try Pepcid Complete. The only time I’ve ever had heartburn was when I was pregnant. I remember how horrible that was! I’ll have to try this. Some spicy foods give me heartburn, but not all the time. I think the time of the day is also a big factor. Pepcid is the only thing that cures my heartburn! My mom always has this in her purse. Thank God! Awesome Product We Use It ALL The Time!! Oh, I am feeling ya! My stomach has been giving me some real problems! I have a bottle right in the kitchen to help! I love food… especially spicy food. If it weren’t for Pepcid, it wouldn’t even be a possibility. This stuff works like a charm! Plus it works almost instantly too! I had such heartburn when I was pregnant. Luckily I haven’t had it since but I am so glad Pepcid is available! 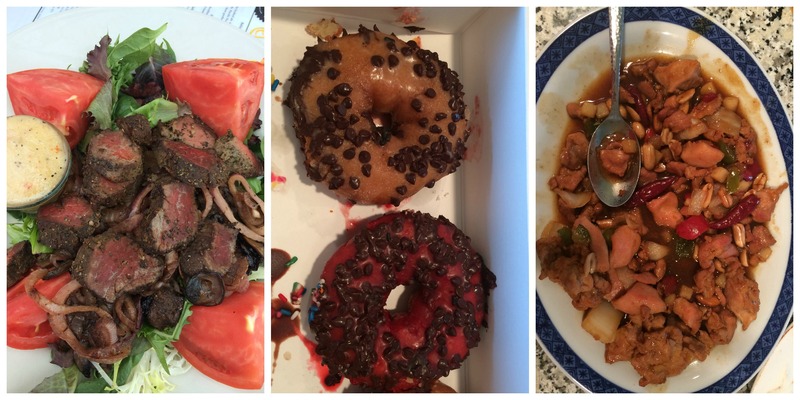 Your food photos look so good! As I get older, I find that indigestion and heart burn are becoming more of an issue. The joys of becoming older. I adore fair food, but it always ALWAYS gives me heartburn. I’ll grab a bottle of Pepcid Complete to take with me this year! As I get older, I’ve been getting heartburn more and more. Thank goodness for products like Pepcid to help us out so we can still enjoy these foods! That food looked so yummy. That would totally give my heartburn. Thankful for heartburn medicine to allow us to eat the food we like and be able to sleep at night. That sandwich looks to die for! Good thing Pecid was to the rescue. Oh my goodness… I want to eat ALL of the food. Everything looks so good. Pepcid would definitely be in order! Yes, Pepcid complete is one of my go-to remedies for heartburn. I love it! I panic when I realize I’m out! I had a bad case of it recently and totally knew what all the fuss was about. That stuff is no fun at all! Wonder if it’s safe for pregnant women? I ended up on a prescription for heart burn, but this would have been AWESOME. I would definitely need a little help from Pepcid. I get the worst heartburn ever. I haven’t tried this, but I do suffer from heartburn with certain foods that I flat out refuse to stop eating. For example, my spicy HOT italian grinders I make 😉 Thanks for sharing your experiences with this product. Those foods look delicious! But I would need the pepcid too! I just had the worst heartburn last night. I’ll have to grab some Pepcid! THese foods look really good! We use Pepcid for heartburn too. I never knew the horrors of heartburn until i was pregnant. Luckily I don’t get it anymore often, but it would be good to keep some of these on hand just in case. I hate heartburn! The older I get the more I get it! My hubby has heartburn. He sometimes has to take something. My heartburn left with my gall bladder. Thanks for sharing this information about heartburn. I luckily haven’t had to deal with this. I used to get heartburn so bad! Pepcid was one of the few things that could get me relief quickly! One of the joys of getting older is heartburn. I never used to get heartburn and I now I get it after eating certain food. I’ve had reflux for years, and Pepcid has saved many a meal for me. It works so well. My hubby has terrible heartburn – he serious needs this! I haven’t heard of anyone I know using this product. I’ll have to recommend it to my friend. Pepcid is one of my go to meds. I hate heartburn, but it really helps! My hubby will have to try this. Ohmy when I get it it’s the worst. Nice to ahve some help from pepcid! Pepcid was my bestie when I was pregnant with my first. Luckily I don’t get heartburn unless I’m pregnant. im gonna need to stock up on this since im pregnant. heartburn is the worsssst! It is great to find something that provides great relief from heartburn. TO be such a minor problem, heartburn causes major discomfort.